Three years ago today, the Black Benefactors Fund was launched to support non profit organizations that serve the African American community in the greater Washington, DC region. We're a group of dedicated individuals who pool our monies, and then decide collectively where to donate our monies to, also known as a giving circle. I founded the Black Benefactors in an effort to give back to my hometown of Washington, DC, and to help keep the doors open of organizations that serve the African American community. (You can learn more about why I started the Black Benefactors HERE). In celebration of our anniversary, we're hosting a membership recruitment and donation campaign! To donate to our fund, please visit HERE. This past January, we granted nearly $10,000 to three organizations that provide college readiness, life skills, mentoring and the arts. 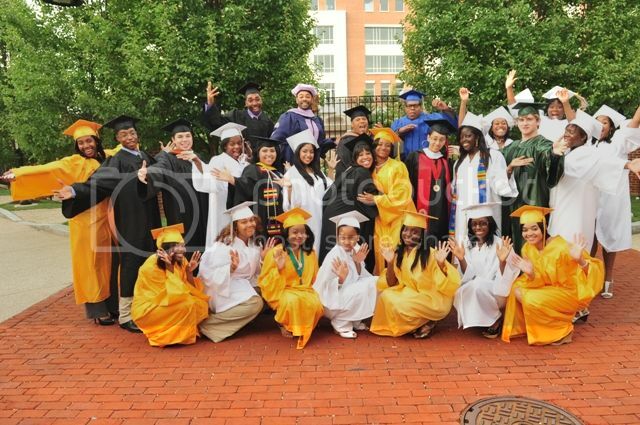 The students pictured above are the 2010 graduates from First Generation College Bound, an organization that for the past twenty years, has helped students to be the first in their families to attend and graduate from college. We also awarded a grant to the African Continuum Theatre Company, the only professional black theater company in Washington, DC. 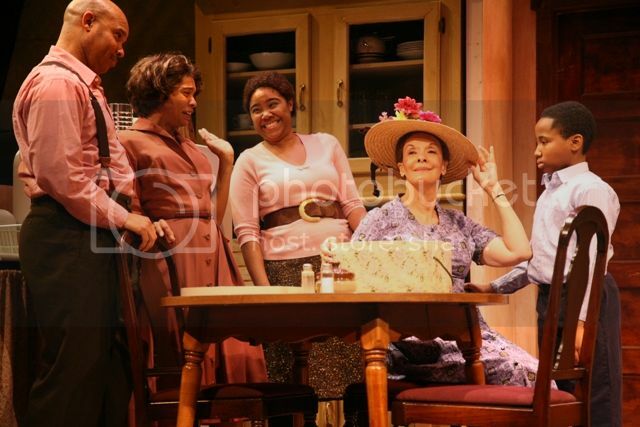 The company's mission is to produce professional caliber plays for the general community that entertain, enlighten and educate from an African American perspective. I'd like to thank the members of the Black Benefactors, our supporters, and to you, the readers who attended our spring happy hour, DC Blacks Give Back in partnership with the African American Nonprofit Network and our host, the Black Philanthropic Alliance. To learn more about us or to donate, visit www.blackbenefactors.org, and join us on Facebook and Twitter. Are you a member of a giving circle in your community? Please share in the comment section below or send me an email at blackgivesback[at]gmail.com. The Black Benefactors is a donor advised fund administered at the Community Foundation for the National Capital Region in Washington, DC.